The Cure this week is all about the Landing Strip and the filtering of objects as they come into your home. It can sometimes be a trial and error process to find the exact set up that stops all your clutter at the door and keeps the inside of your home free from the travels of the outside world. 3. Does my home need it? So I’ve given some thought to what happens when we come into our home. I should warn you – this post isn’t going to be pretty – it’s going to dig into some organizational issues that need to be addressed. 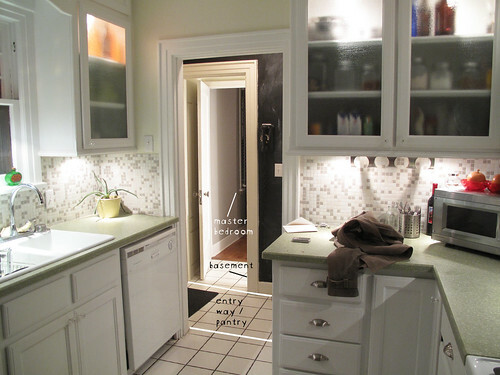 Here is an overview of our kitchen / entry way. 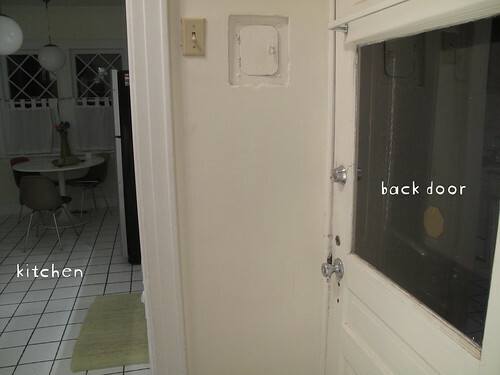 The back door is off to the left (you can see the door mat there). It was so hard for me to not art direct this shot to make it picture perfect – but I want to give you an honest view of where our things end up as we walk in the door. My things, rather, because Jeremy puts all of his things away in their appropriate places and that’s just not going to work for me. I’ve got my purse, camera, phone, COAT, all over the counter, breakfast nook table and on the floor just inside our master bedroom. 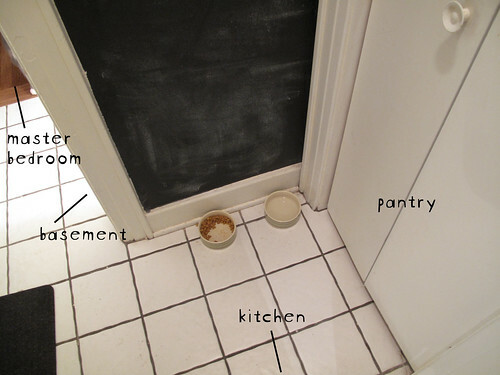 So basically you walk through the door and to the front is a pantry area. To the right is the kitchen. 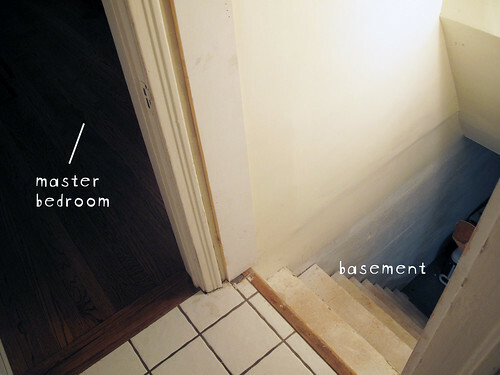 To the left is another breezeway / hole to the basement (creepy, huh?) and then a door to our master bedroom. 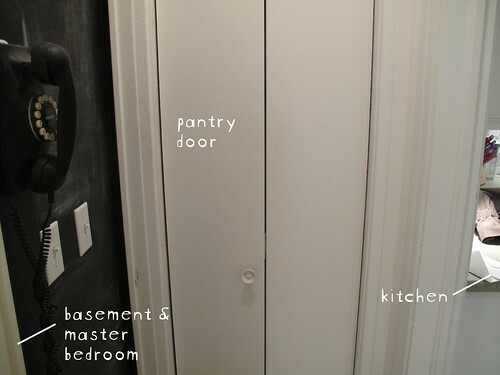 We have a door that would close off the entrance to the basement area (and another door that closes from the master bedroom to block that off from the basement area as well) – we just haven’t gotten around to hanging it. A really simple solution would be to hang a coat rack on the chalkboard wall – but I think this would distract from the overall look of the kitchen. So I’m interested in tackling a more complicated solution. Converting our current pantry area (we use it for household storage) into a mini mud room. 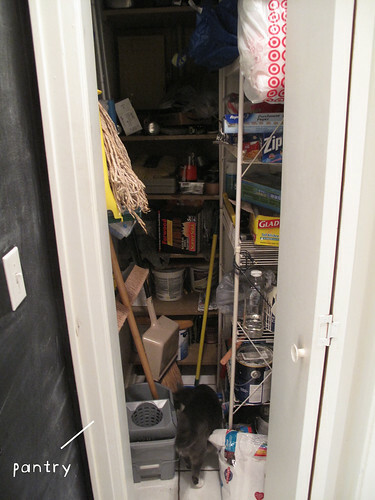 We could move a lot of the stuff from the pantry to the basement and under the sink. With some IKEA storage solutions and a little bit of paint I think we could do it. This definitely isn’t going to get done by the end of the Fall Cure (as far as I know) but drawing up some plans are a good start. 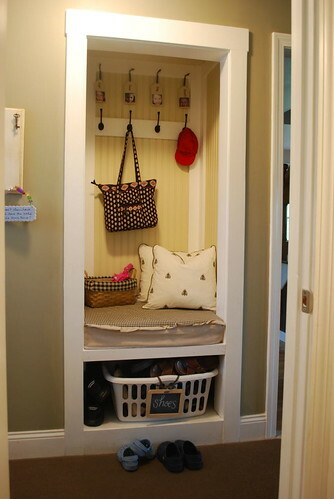 Wouldn’t it be nice to be greeted with the perfect place to gather all your things? Until we dive into this project I might come up with some small solutions – like a bin in the master bedroom to throw my things in. Or putting up some hooks for my keys (which I’m constantly losing). Do you guys have any recommendations or ideas? Please share.